Strada means “street” in Italian. Streets matter to us. They’re the fundamental infrastructure of our cities and the core of our civic lives. 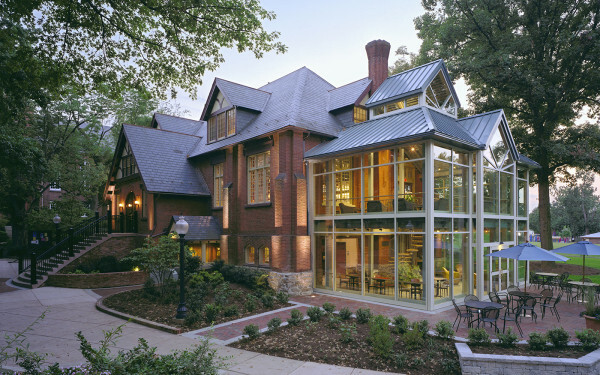 They’re the connections between buildings, people, and public spaces. This is why we’re so inspired by them and it’s a shared commitment to these values that brought our principals together. 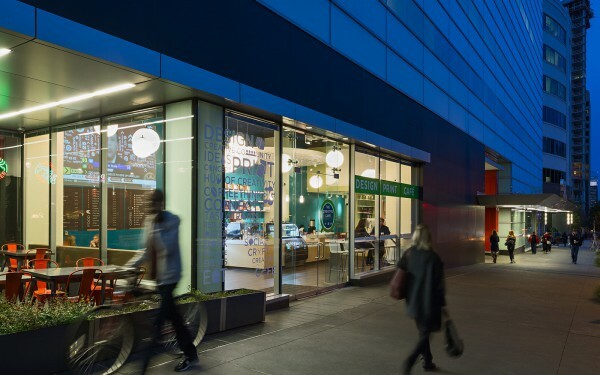 Just as people mingle on city streets, our office is a place where we freely exchange ideas, challenging and inspiring one another to create exceptional work. Collectively, the design and construction industry has risen to the challenge and we’re diligently doing our part in reducing the amount of waste generated, however statistics don’t lie… We still have a long way to go! 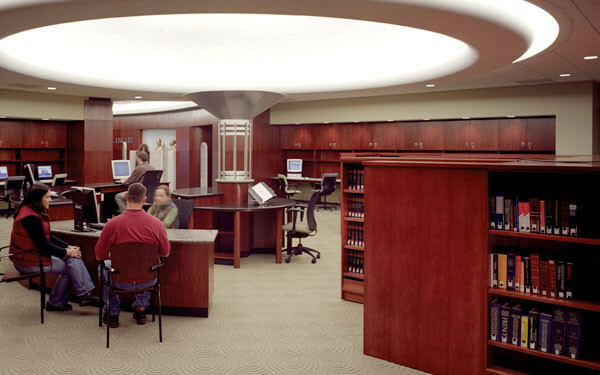 The student lounge is an integral part of the law school experience. 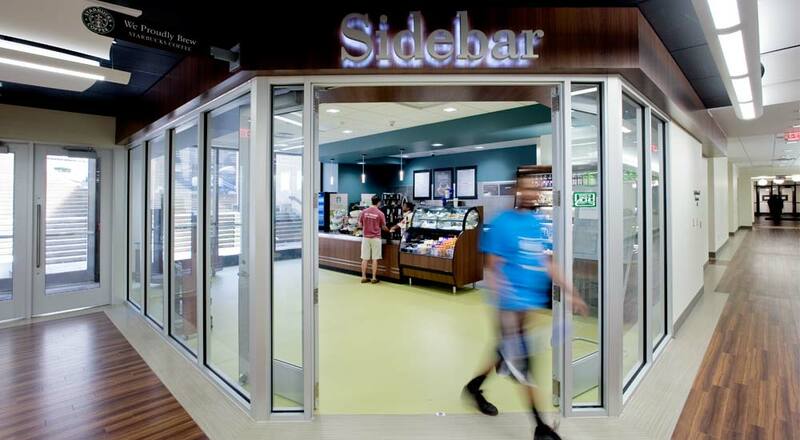 Strada designed the renovation of the ground floor of the University of Pittsburgh’s Law School to transform it from a weary and oppressive space into a new student lounge with work spaces, a conference room, new accessible toilet facilities, and a food service venue known as the Sidebar. 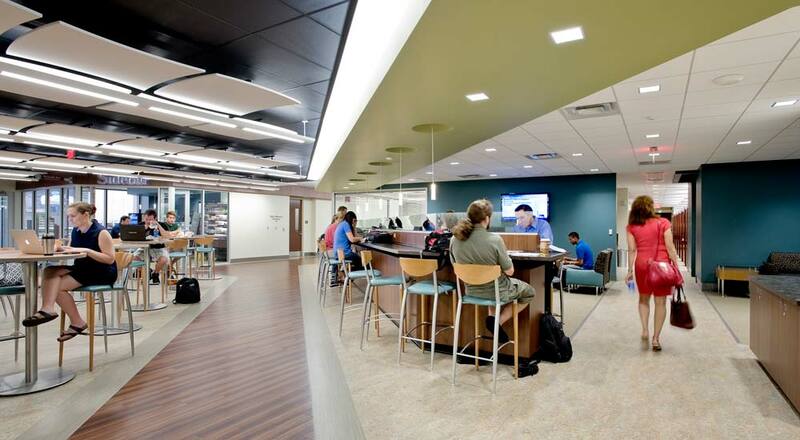 Integrally designed spaces provide for study in the quiet area, socializing at the cafe, and working at the meeting and student organization hotelling stations. 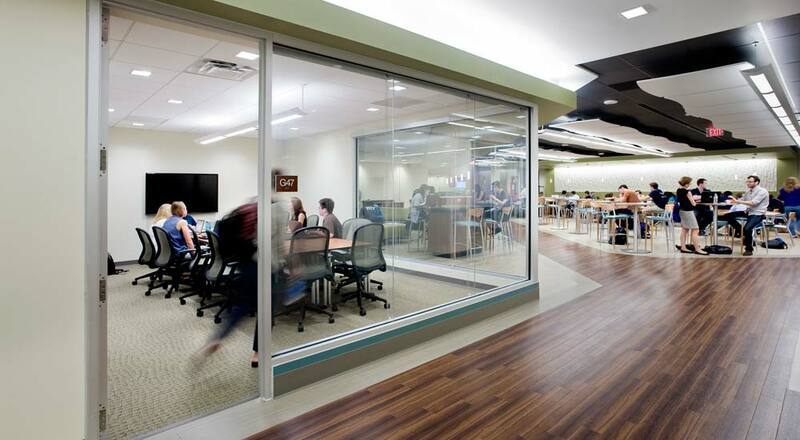 The design also incorporates wardrobe and student lockers. Since the month it opened, the Barco Law School Student Lounge has been abuzz with students studying, meeting, and chatting. The new design provides a variety of seating types and levels of privacy, with a mix of materials that moderates light and noise. 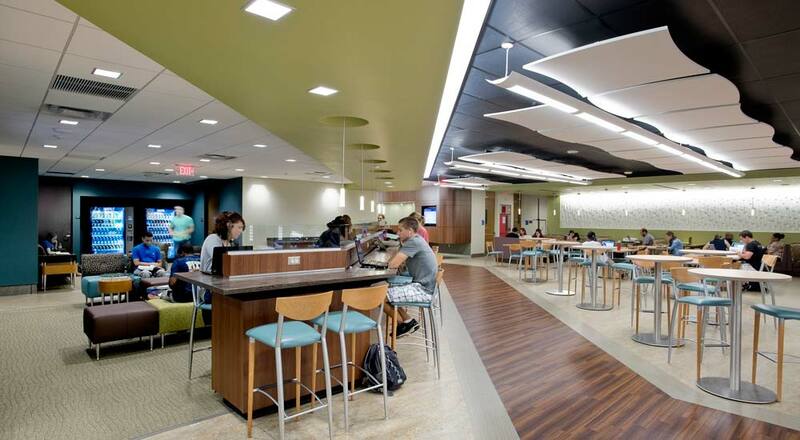 Like many such spaces at colleges and universities that emulate today’s cafe culture, this lounge forms a hub of socializing and knowledge-sharing for the community it serves.